First - We have a renewed focus and emphasis on our patients’ comfort, care & convenience. We don’t want anything to stand between you & your family & great dental health, so we offer appointments from 7am until 7pm & even on Saturdays! You don’t have to miss work or school for your teeth cleaning! To make your care more affordable, your insurance now works even better at our office! We always work hard to maximize your benefits & most insured patients pay $0 out-of-pocket for teeth cleanings! If you don't have insurance we have a terrific Smile club which will help save a ton of money on your dental needs. Appointments from 7 am until 7 pm & on Saturdays! Cleanings are $0 for most insured patients! No insurance? Join our Smile Club! Secondly - The name change reflects our heart for doing mission work both here and abroad. From the beginning we have been involved with local missions, the Northern Virginia Dental Clinic, Give Kids a Smile Day program, nursing homes and the Appalachian dental mission at Wise County, Va. Additionally, we have been on more than six international missions to provide care to our brothers and sisters where dental care is simply not available or out of reach. The need is overwhelming, and with your help we have a goal to lead 4 international missions each year. Our motto for our mission work is: Spreading Smiles from here to the Nations! We look forward to the privilege of caring for your smile. Dr. Robert A. Morabito has been creating and restoring beautiful smiles for more than 18 years in Falls Church. 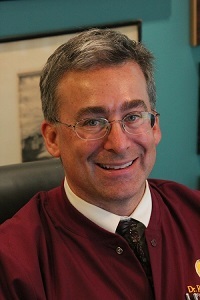 He combines years of experience with the latest innovations in dentistry in order to provide the best possible dental treatment in Falls Church, VA for you and your family. With a focus on preventive care and overall patient health, Dr. Morabito works with his patients to create a personalized treatment plan for a healthy, beautiful smile that will last a lifetime. With a staff of caring, efficient professionals, your Falls Church dentist specializes in advanced general dentistry, making it easier than ever to take care of all your dental needs in one office. From cleanings and check-ups to dental implants and advanced cosmetic restorations, to sleep apnea therapy, our team is experienced with the latest dental technology, making your visit more comfortable, effective, and productive. Our staff members speak both English and Spanish for the convenience of our Latino community. Our goal is to provide you with the most comprehensive dental care available. Sedation Dentistry - For patients who are less than comfortable in the dentist chair, sedation dentistry from our office includes nitrous oxide (all ages) and oral sedation (adults only). Dental Implants - Dental implants allow patients to enjoy teeth that look and feel incredibly natural and secure. We can easily use a dental implant to replace one tooth or several neighboring teeth. When all teeth in an arch are missing, we can restore your smile using fixed dentures or the All-On-4 treatment concept. Gum Disease - From the beginning stages of infection to advanced gum disease, we can develop a treatment plan that will improve your oral health, ease your pain, and restore your smile. Cosmetic Dentistry - Whether your teeth are chipped, cracked, stained, or crooked, we can work with you to bring your smile back. We offer tooth-colored fillings, veneers, whitening, and Invisalign® to gently straighten teeth and close unwanted gaps. At Robert A. Morabito, DDS, we take a gentle approach toward your oral care. Our advanced general dentistry services in Falls Church, VA will make you smile in more ways than one. Give us a call today to schedule an appointment so we can help you achieve optimum oral health. Contact Us today to schedule your next appointment with our Falls Church dental team. We encourage you to contact us with any questions, comments or appointment requests you may have. Please call our office or use the contact form below. Dr. Morabito and your wonderful staff - Thank you so much for your kind, welcoming, and kid-friendly attention you gave me and my sons when we came in for the Harrison's 1st dental checkup. Thanks again and keep up the good work. Dr. Morabito is an awesome dentist, a great personality with the hift of humor, he is personable, and amazingly manages to choose the very best people to work for him. They are all excellent and most of all - caring and genuine. And with my dental problems, believe me I have had my share of being treated like a "number." I recently flew back to Falls Church from Kansas City to have him do my implants, because I don't trust anyone else. Dr. Morabito is a rare man: intellectual, very professional, very sensitive and practical to his patients. HIS STAFF: ADIMINISTRATION, DENTAL HYGENISTS, DENTAL ASSISTANTS , entertainment, and a charitable character are exceptionally capable, as he demands. If his practice were a fine hotel, his ZAGAT rating would be the highest. Dr. Morabito is an exceptional man! His professional associations keep him in the forefront of the latest methods and technology. He is excellent with the fearful and anxious patients and makes them feel confident. He is great in all the technical aspects of dentistry. He makes thousands of patients look better and feel great about themselves. You can feel secure in knowing that Dr. Morabito is the only dentist you will need, and he is affordable with a variety of financial plans. All aspects are well explained. If you want a great dentist, see Dr. Morabito and his charming and professional staff that will make you comfortable like family.